For the past year, I’ve had insomnia. I can’t sleep at all or only have a few hours of sleep every night. I started getting messed up: I became irritated at everyone, I would lose my temper easily, and a lot of other stuff but most of all, I was losing hope. Hope in Allah (swt) that He will help you when you ask for anything. Obviously, the first thing I did do when I started losing sleep was ask Allah (swt) to let me fall asleep instead of making me go through another long night of lying in bed, frustrated. This didn’t really work and with each passing month, it got worse and worse. Soon enough I was afraid to go to bed. My parents tried everything and so did I. Everyday I would wake up tired and think why did Allah (swt) leave me restless the entire night? Many Muslims have a similar problem, they ask Allah for something and don’t see any change and lose hope that Allah is the Most Powerful. When we don’t receive any change, we must recognize that Allah is simply testing us and our patience. There’s a hadith where the Prophet (saw) said that a person should not say that he prayed and nothing happened. (I’m sorry I don’t remember where I got this from.) This is a sign of impatience and losing faith. It’s difficult to not feel this way but maybe there’s a reason behind this. Maybe you didn’t repent sincerely or maybe it’s just best if you don’t get what you asked for. You never know. What if what you asked for would cause you to go astray or cause a major conflict. You must realize that Allah (swt) knows what is best for you. In the Qur’an, Allah says, “Although they plan, Allah also plans. And Allah is the best of planners.” (Surah Anfal:30). 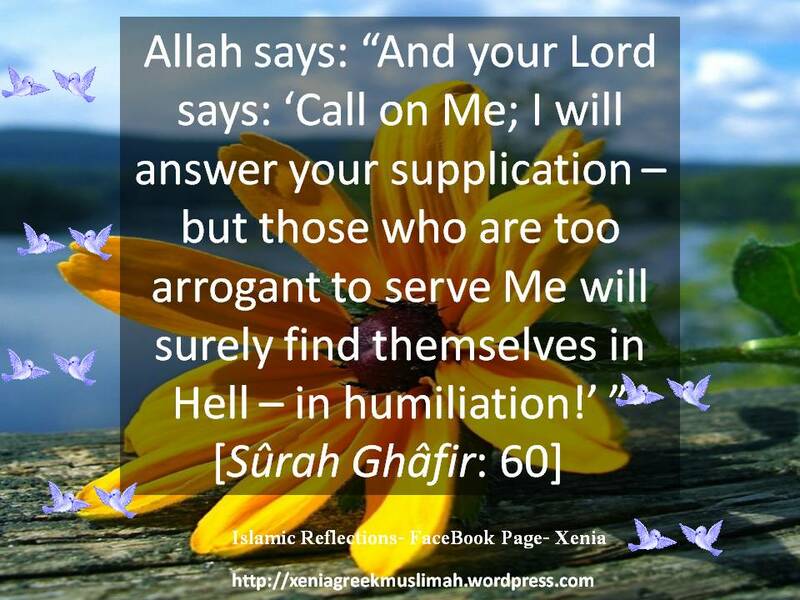 So what you should do is ask for forgiveness and don’t lose trust in Allah. Also, it’s important that when we do ask du’a, we ask sincerely and begin by praising Allah (swt). You should also be steadfast in your prayers, read the Qur’an often, strive to gain knowledge, and be kind and compassionate to everyone around you. Remember that time when you thought you would just die without the new nintendo ds or that cute little barbie house that everyone had? Well after you begged your parents with all those extra “pretty please with a cherry on top”, they still said no. Then you decided to be on your very best behavior and doing all your chores as best as you can. Afterwards, your parents decided hey, let’s get our kid that toy he’s been talking about as a reward for his good work. Although that’s not really how it works now, it’s a similar situation. We should do good deeds so Allah will answer our prayers and if you are fortunate enough to have your prayer answered, remember to thank Allah constantly. Even if this still doesn’t work out, still repent and still thank Allah because you have everything because of Allah. Allah could take all that away in a blink of the eye. “Remember Me- I will remember you. Give thanks to me and do not be ungrateful. You who have faith, seek help in steadfastness and prayer. Allah is with the steadfast.” (Surah Baqarah: 152-153). Jazakallahu khayr dear sister! 😀 But for some reason, I can’t go to your blog…? how is your insomnia now?